From the Dept. of Go Metro to Rams and Chargers games: Peter King in his weekly MMQB column has two notes local football fans might consider: 1) The Chargers last won Nov. 27 and the Rams last won on Nov. 10, meaning that when the 2017 season gets underway in September it will have been 11 months since either of the local 11 was triumphant, and; 2) There have been five different Popes since 1969 and three different Steelers coaches who have guided the Steelers to eight Super Bowls and six Lombardi trophies. The Rams and Chargers, of course, will begin their 2017 campaigns with new coaches and one Lombardi between them. 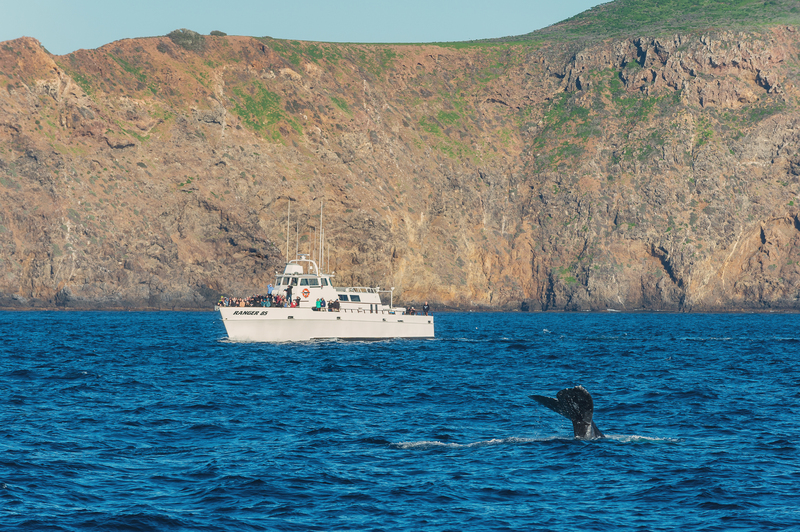 If you happen to be between Anacapa and Santa Cruz islands, look for gray whales, which are migrating from the coast of Alaska to the Baja California coast at this time of year. I shot this Monday afternoon on a whale watching trip out of Oxnard. Photo courtesy Steve Hymon. A rendering of the new Rams stadium. Credit: L.A. Rams. The organizers of the bid committee trying to land the 2024 Summer Olympics have pushed a novel idea that is getting a lot of ink. Under their plan, a sort of pre-ceremony would begin at the Coliseum and then move — torch and all — to the new Rams and Chargers stadium being built in Inglewood. Which means a big night transit-wise. The Expo Line and Silver Line serve the Coliseum; the Crenshaw/LAX Line’s Downtown Inglewood Station will be about a 1.5-mile walk to the new stadium. Both the Crenshaw/LAX Line and new stadium are forecast to open in 2019. Metro is exploring options for better connecting the rail system to the ballpark; obviously bus shuttles are one possibility. The International Olympic Committee is scheduled in September to pick a winning city for the 2024 Games. Los Angeles is up against Budapest and Paris, which last hosted the Olympics in 1924. If L.A. wins, one of the things benefiting the region will no doubt be the passage of Measure M, will provides funding for a variety of projects that could help boost the Olympics, including the Purple Line Extension to Westwood and the Airport Connector station that will serve as the transfer point between the future LAX people mover and the Crenshaw/LAX Line and Green Line, as well as many bus lines. Yonah Freemark’s annual roundup of transit projects that will debut this year or get underway construction-wise. He estimates that about 80 major lines at a cost of $797 are part of this year’s count. Yonah also lists all the projects by mode. Perhaps the most interesting: BRT seems to be getting increasingly popular with 10 projects opening this year and six beginning construction. Many transit advocates have pushed for more BRT because it usually costs far less than rail and has the ability to speed up bus trips and get into corners of a city/region where there’s already density and transit ridership. At present, the third phase of construction is scheduled to finish up a full two years before the second. But Metro is optimistic about the prospects of further accelerating the second leg of the project. Pauletta Tonilas, a spokesperson for the agency, tells Curbed that Metro is trying to find more funding sources for the project and is looking for ways to coordinate construction of the second and third phases so that both of the final phases will be ready by 2024—not-so-coincidentally, the year that Los Angeles hopes to host the Summer Olympics. Sort of. Under the federal grant secured earlier this month, section two has to be done no later than 2026 per an agreement with the Federal Transit Administration. Metro is shooting to be done earlier. Under the Measure M spending plan, the third phase is supposed to be done in the 2024-26 timeframe. As both Pauletta and Metro CEO Phil Washington have said, the goal is 2024. Yet another development along Santa Fe Avenue — this one between Bay and Sacramento, south of 7th. Perhaps not entirely coincidently, Urbanize also has a fresh post on the new Metro Board motion asking for further study of an Arts District station for the Red/Purple Line, given all the development in the pipeline for A.D. Besides getting the Arts District hooked up with Metro Rail, I think there’s a separate and unrelated issue: a really good circulator within the District, which is not tiny. The A.D. reminds me of the Pearl District in Portland, which was once an old industrial district that reinvented itself with residences, new businesses, restaurants…and a streetcar. The planned streetcar in L.A. — which still needs funding — would be in the main part of downtown where there’s already trains and buses. First the headline: the article actually paraphrases one Congressman who says he will call for hearings. Who knows if that will happen. As for the higher costs for the project…that’s based on a risk analysis by the Federal Railroad Administration saying that an initial segment between Merced and Shafter could rise from $6.35 billion to as high as $10 billion. The California High Speed Rail Authority in its letter says the LAT is mischaracterizing internal analysis of potential problems for something that is definitely going to happen. Or, to put it another way, the CHSRA feels like a smart exercise designed to keep costs in line is being unfairly used against them and the project. Robert Cruickshank at the California High Speed Rail Blog also takes issue with the story, pointing to issues that he and others have had with the LAT’s coverage of the project. He also points to the fact that a new Administration is taking over this week in Washington and it remains to be seen what, if any, federal support for the bullet train in California will be coming forth. WiFi is now available in more than 200 stations on Gotham’s subway system and…guess what, not everyone is loving it. Some want it extended to the tunnels, others miss the timeout from the digital life that the subway system had provided. For train/light rail transit to the new Rams Stadium and the Forum, is Metro exploring adding a spur off the Crenshaw line along Prairie Avenue? Seems more convenient and useful to run rail down Prairie directly to the facilities rather than having to employ dozens of shuttle buses that may or may not run all the time. 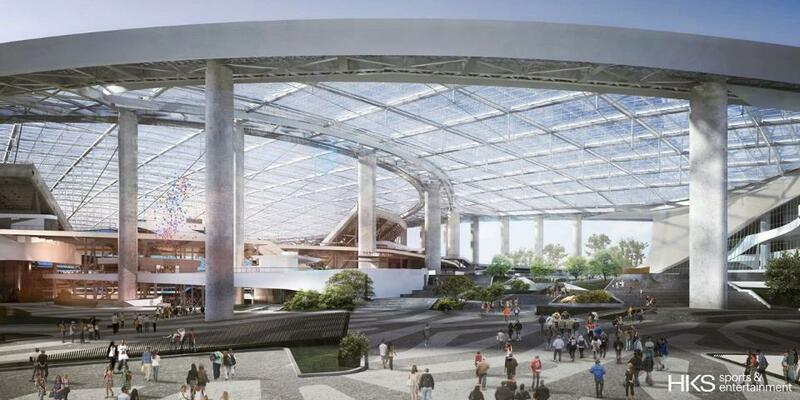 Also, it would allow the for transit to the Forum during concerts or other events during football off-season.